Rail company Southern failed to get the 7.29am Brighton to London Victoria train into the capital within its scheduled time on any occasion out of 240 attempts. The service is the most essential for commuters who live in Brighton, East Sussex, but work in London as it is scheduled to arrive at its final destination at 8.35am - just in time for a 9am start time. The revelation comes a week after commuters, some of whom pay up to £5,000 a year for a season ticket from Brighton to London, were dealt 2.5 per cent price rises on their rail fares from January 2. Trains either side of the 7.29 service to London Victoria, the 7.14 and the 7.44, only arrived in the capital on time on 1 per cent and 2 per cent of occasions, according to the new figures released by Network Rail. Nationally, more than a third of trains failed to arrive on time in the 12 months ending December 6, with 64.6 per cent reaching their destination within 59 seconds of their scheduled arrival. 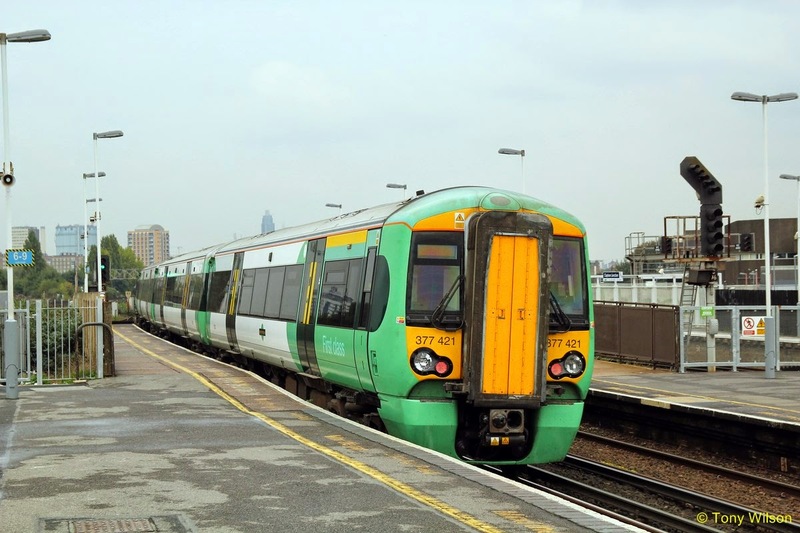 Only 50.3 per cent of Southern trains made it within the 59-second limit. Southern Rail deputy managing director David Scorey apologised for poor performance but stressed work was underway to improve the service. Questioned on whether commuters were getting their money’s worth last week, he declined to answer yes or no. 'I don’t think we’re delivering the level of performance customers expect,' he said. Southern say the poor performance of the 7.29 train and other services across the network is primarily down to high demand and congestion. However the 7.29 service was cancelled twice last week - on one occasion because of a faulty door lock. Asked what the problem was with the 7.29, Mr Scorey said it was 'all because of the balance between capacity and performance on the network'. He said: 'Our network is very busy and congested. An analogy that I’d use is the M25 at its busiest time. Our network is a bit like that and what we’re trying to do is run as many trains as we can because the capacity is needed. People want those trains, want seats on the trains, want trains to be as long as they can because there is demand for it. 'But it does mean that trains are running very, very close together - particularly as they approach London. If there is the most minor of problem or delay on a train, another train can be thrown off its path or slot on the network by a couple of minutes which can sometimes then snowball a little to five or six minutes late. Southern gained more than £700 million in revenue in 2013. Its parent company Govia - a firm jointly-owned by the French National Railway company Keolis - last year received more than £700 million in net public subsidies from taxpayers. Its shareholders also enjoyed more than £21 million in dividends. Mr Scorey added: 'There’s the delay repay system which compensates passengers for delays over a certain threshold, but I think it’s worth reflecting if you look back over the Southern franchise, that we’ve done a tremendous amount of work. 'I’d ask people to reflect on how the network has changed over the past decade, say. We’ve introduced a complete new fleet of trains, the Electrostar fleet, we’ve introduced extra seats from Brighton and in fact a lot of those trains still have spare capacity today. 'We’ve invested hugely in stations, and Brighton station is a great example of the work that’s been done. In an attempt to reassure customers, Mr Scorey concluded: 'There are a number of other changes coming this year, including a timetable recast in December. Caroline Lucas, Green MP for Brighton Pavilion, who commutes most days to the capital from Brighton, has called for an urgent summit to address the ongoing rail misery impacting her constituents. 'My constituents are fed up with unreliable, overcrowded and over-priced trains,' she said. 'I’ve been inundated by letters and emails from passengers who have had to experience cancelled trains, late running services, overcrowded trains and platforms, and pitiful communications systems. Commuters on the service also had their say on the delays, and offered their ideas for a possible solution. Train user Magnus Kemp, from Brighton said: 'I don’t expect to arrive on time. The train always slows down. The Brits put up with it but it’s always been the same, trains have always been bad in this country. 'Where is there a good train service in the UK? Should we renationalise? I mean, on certain levels yes. 'But I can’t see how doing that will make it a better service because when it was nationalised it was rubbish then as well. Joe Casson, 24, from Brighton, said: 'You budget 10 to 15 minutes for the end of the journey on this train. It’s always late, it never fails. It’s a case of putting up with it as far as I’m concerned. 'You shouldn’t have to assume your train is going to be late every time, you should have dedicated times for your arrival so you can plan your commute to work. 'If targets aren’t met then some money back on a season ticket would be nice. Giles Wheatley, 44, from Brighton: 'To hear that this train never arrived on time in London at all last year is absolutely of no surprise to me. I can’t remember when it did. It’s frustrating. 'It’s scheduled to arrive at 8.35 which should be enough time to get to work for 9am. But what I have to do, if I have an important meeting, is get up earlier and get the earlier train. That is still late most of the time too but at least I can make work on time. One of the best performing operators was the Chiltern train company, which ran 85.1 per cent of its services on time, but the same was true of just 39.1 per cent of services from CrossCountry. The right-time NR figures for the 12 months ending December 6 2014, also showed that Arriva Trains Wales, c2c, and London Overground all had on-time figures in excess of 80 per cent. Contrastingly, only 45.6 per cent of Grand Central’s trains were on time and only 50.9 per cent of Virgin Trains’ services were on time. NR’s performance is judged not on the right-time measure but on the public performance measure (PPM) which deems a commuter service is on time if its arrives within five minutes of scheduled time, with long-distance trains being on time if they arrive within 10 minutes. On this five-minute PPM measure, just 27 per cent of the 7.29am Brighton to London trains were on time last year. The PPM figures for all train companies showed that for the 12 months ending December 6 2014, a total of 89.3 per cent of trains were on time. Top operator was c2c with a punctuality figure of 96.4 per cent, while the worst-performing company was Southern with a figure of 83.4 per cent. A spokesman for Southern said: 'We acknowledge that the performance of the 7.29am Brighton to London Victoria service has been particularly disappointing. 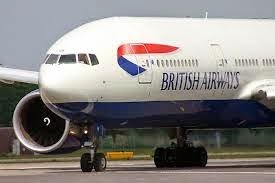 British Airways jet hit 745mph on what may have been the quickest transatlantic crossing since Concorde. The flight time between New York and London was slashed when a British Airways plane reached almost supersonic speeds by riding a powerful jet stream. The unusually strong winds resulted in a record flight time of five hours and 16 minutes, with the plane arriving 90 minutes ahead of schedule despite departing late from JFK airport. The journey is thought to be the quickest since supersonic jet Concorde stopped flying. The Boeing 777-200 reportedly reached ground speeds of 745mph, almost breaking the sound barrier, 761mph, during its transatlantic journey.